In today’s battle of roster shakeups, TSM pulled out the win. 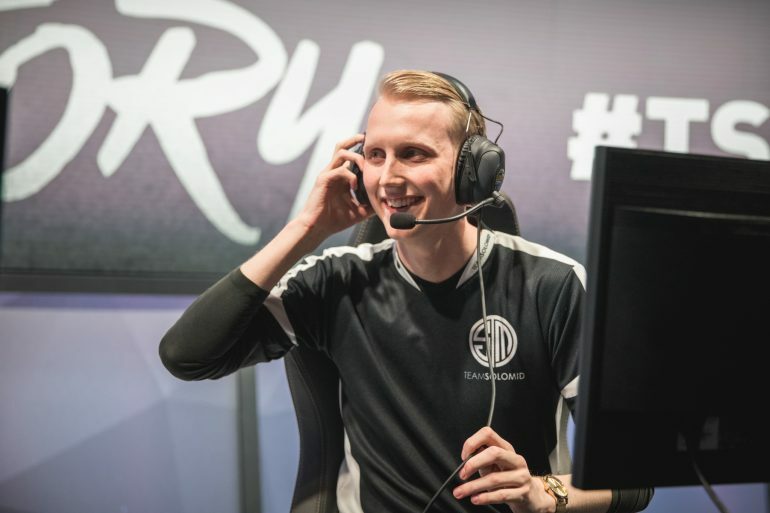 One major theme for the first week of the League of Legends Championship Series in North America is “new rosters.” Today’s game between TSM and 100 Thieves, for instance, put a total of five new players across both teams on display—and it was a straight up battle to see which new players could outperform who. Luckily for TSM, their newbies came better prepared, as new top laner Sergen “Broken Blade” Çelik, new jungler Matthew “Akaadian” Higginbotham, and new support Andy “Smoothie” Ta stepped up to the plate and steamrolled their 100T counterparts. Even 100T’s new bot lane combo of former SK Telecom T1 ADC Bae “Bang” Jun-sik and Zaqueri “Aphromoo” Black couldn’t stop them as TSM’s bot laner Jesper “Zven” Svenningsen nearly secured a perfect record, walking into 100T’s base with a 7-0 scoreline at the end of the game. Of course, it was right at the end that Aphromoo landed a solid Thresh hook to end Zven’s perfect record, but TSM still cleaned up the final fight, Zven or not, and ended the game. The importance of landing an early win this year can’t be understated, since TSM’s troubles in the 2018 season started when they lost game after game at the beginning of the Spring Split. With at least an opening win against a roster that was praised as one of the best in the league, their morale might stand a little higher heading into the split. While this was considered a significant upset by most analysts, including us, the first game of the day between Cloud9 and Team Liquid went about as expected as Liquid took the win. Now, we’re onto the third match of the day. The next time TSM play, however, will be tomorrow when they take on Clutch Gaming at 5pm CT.